Hemi Ram fans, your 2006-2008 Heavy Duty truck no longer has to live with extremely restrictive, power robbing exhaust manifolds. 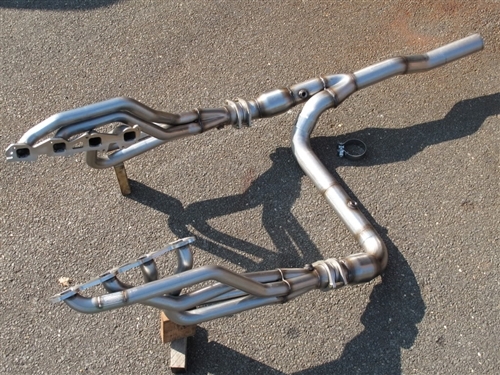 ARH has once again answered the call with a high quality 304 S/S long tube header system with a 3" Y-Pipe. The system features 3/8" thick flanges with tig welded and hand ported inlets, optimized and near equal tube length 1-3/4" primaries, merge collectors with scavenger spikes, true 2 into 1 merged y-pipe and off road Y-Pipe. All grade 8 hardware, gaskets, clamps and O2 Ext. harnesses are included. Best of all, it's 100% US made.